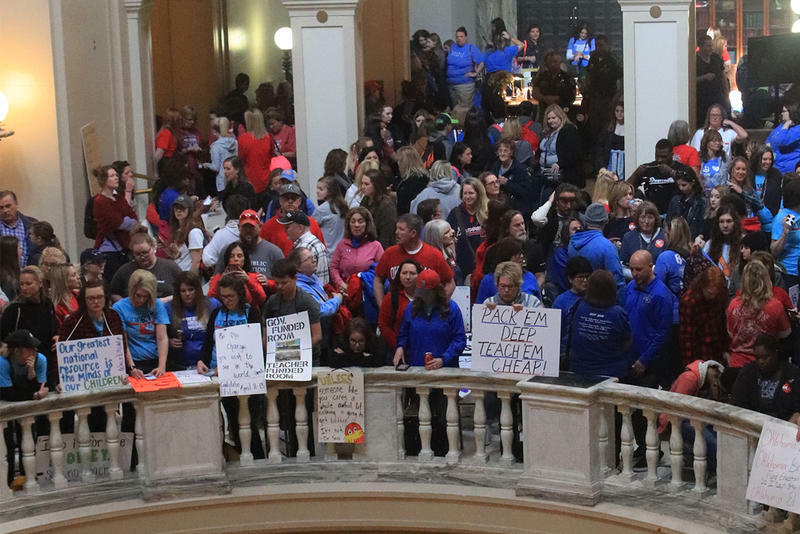 The state's largest teachers union have announced the Oklahoma teacher walkout is over. In a press conference this afternoon, Oklahoma Education Association president Alicia Priest said some schools and teachers may continue to walk, but that is up to them and their school boards. Priest declared the walkout a victory, saying teachers had secured an additional half a billion dollars for public education, but Senate leaders refused to do more this year, and that was the reason for calling things off. This March, Moore, Oklahoma became the first city in the nation to adopt a tornado-specific building code. City officials wanted homes to be able to withstand an EF-2 or EF-3 tornado. But six months after the new regulations took effect, it turns out not all new homes built in the tornado’s path will have these upgrades. Last week, on a block near Moore’s rebuilt Plaza Towers Elementary School, city official Shane Speegle walked through one house that had just been framed to check the progress. One year ago this week, a deadly EF-5 tornado swept through Moore, Oklahoma, taking the lives of 24 people and destroying over 11-hundred homes. For many people, this week marks a painful reminder of the damage. 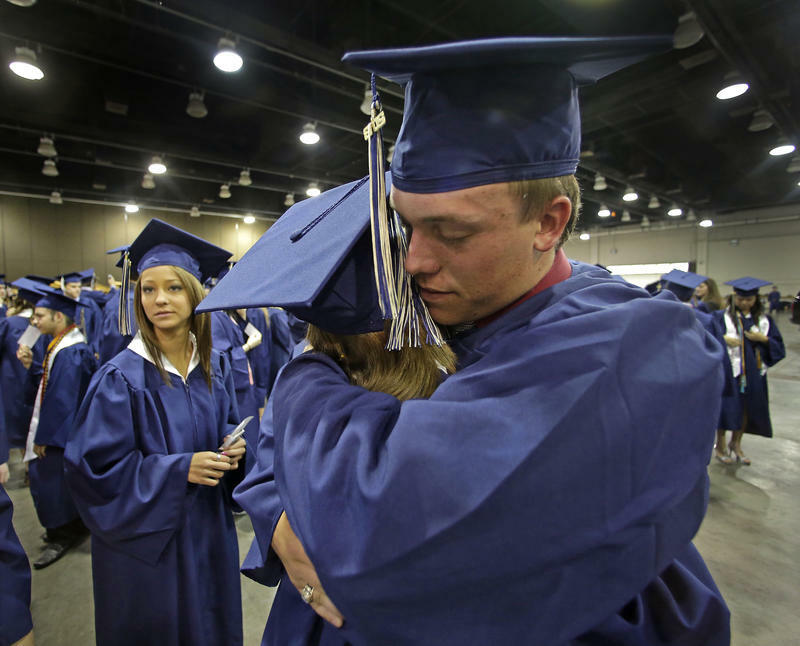 For others, the year anniversary is an opportunity to put the devastation behind them with the support of their peers. Kate Carlton reports. 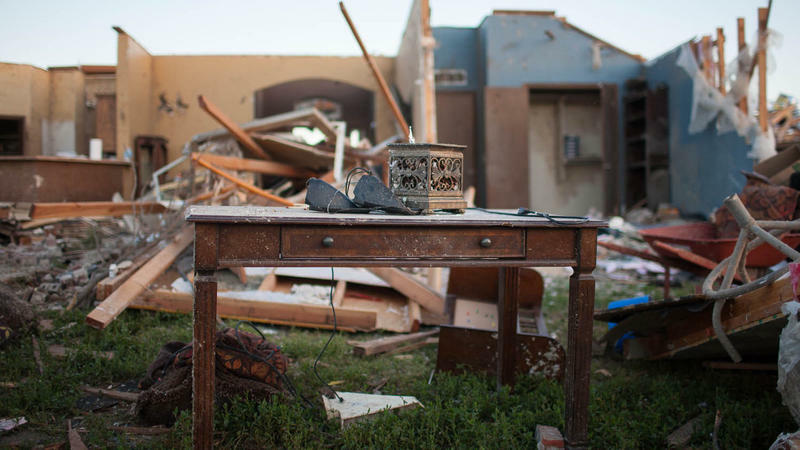 Millions Of Pounds Worth Of Tornado Debris: Where Does It All Go? It’s been nearly a year since a series of tornadoes devastated central Oklahoma, destroying homes, parks and commercial buildings. During the recovery process, construction crews gathered over 300,000 tons of debris between just Oklahoma City and Moore. Jeff Bedick is the District Manager for Waste Connections, which operates a landfill in west Oklahoma City. The facility sits on 200 acres, which mostly just looks like a giant, grass-covered hill on the side of the highway. In Moore, Oklahoma, residents and volunteers are deep into cleanup and not for the first time. Moore has been hit by several powerful tornadoes in the past 15 years. Many residents insist they're staying in Moore despite the danger of tornadoes. 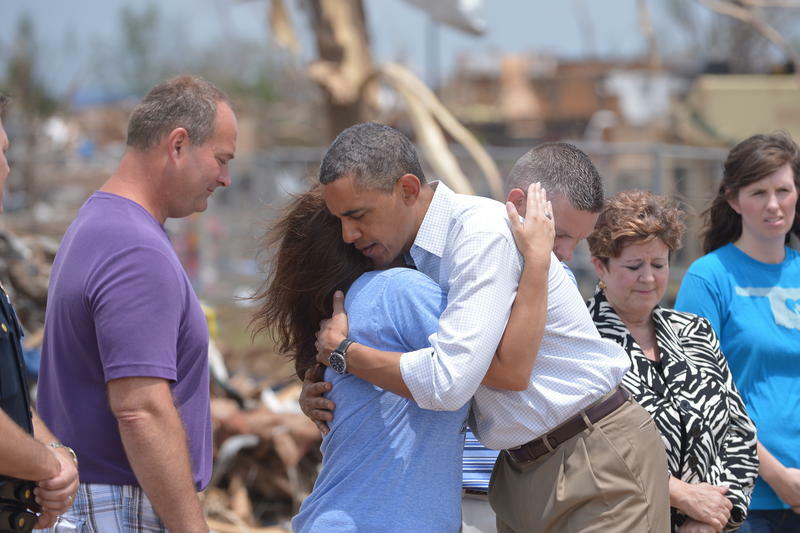 President Obama toured the devastation in Moore, Okla. Sunday afternoon, comforting some victims and pledging federal support. He said that he came to city as a representative of the American people. "I'm just a messenger here," Obama said, "letting everybody know that you are not alone." President Obama is scheduled to visit the city of Moore, Okla., today, to survey the devastation left behind by by a monster EF-5 tornado. Brian Hock was standing Wednesday evening in what used to be his home but is now 2,000 square feet of nothing. Still resting in a bag of dog food was the cup he uses to scoop kibble, emblazoned with the slogan "Fear not: God's love shines bright." Hock was at work Monday when the tornado smashed his house in the Heatherwood subdivision of Moore, Okla. He says his daughters survived only because neighbors invited them to share a custom shelter.